While diamonds are a girl's best friend - realistically, not every girl would feel comfortable dropping $5,000 on one pair of earrings, unless, of course you're fortunate enough where money isn't an object. I can't think of anything else that can be any more feminine than a stunning pair of diamond teardrop earrings or a more reasonably priced pair. It's one of those accessories that if paired with a drab outfit, can instantly dress up the look to an entirely different vibe. 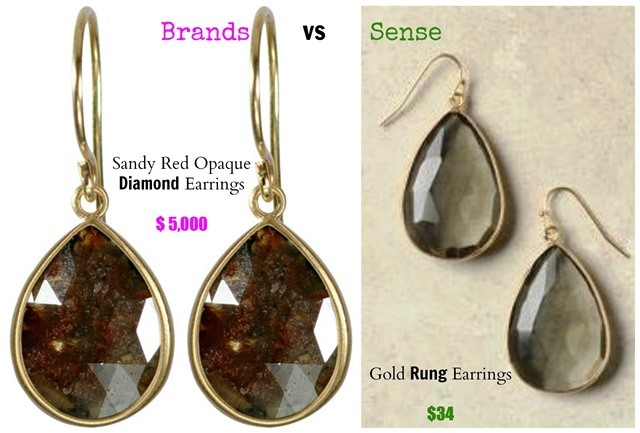 Teardrop earrings are truly a must-have fashion accessory in every lady's jewelry collection. Whichever one fits your budget, opt for a pair.